Soybeans, now the second-leading crop in Sangamon County (as they are in most of the Midwest), became a staple on county farms in the 1920s. The increase in soybean production already had been dramatic, but it had started from a very low base. Statewide, only 1,700 acres of farmland were planted in soybeans — usually referred to in two words, “soy beans,” in early coverage — in 1917. Bean acreage climbed annually from there. But the key period was 1921-22, when A.E. “Gene” Staley announced that his corn processing plant in Decatur would begin crushing beans and would buy all the soybeans central Illinois farmers would grow. By 1927, according to an Oct. 1 article in the Illinois State Journal, the number of soybean acres in Illinois had grown to 504,000. Included were about 12,000 acres in Sangamon County (the leading soybean counties in 1927 were neighboring Macoupin, with 30,000 acres, and Montgomery, at 27,000). Not mentioned in the brief Journal article, for some reason, was another prominent Staley effort to promote soybean expansion, which had taken place that spring: the Illinois Soil and Soy Bean Special, a six-car train that made a whirlwind tour of areas where soybean cultivation seemed like a good bet. Gene Staley’s A.E. Staley Manufacturing Co. (now part of Tate & Lyle) was the train’s prime promoter, with co-sponsorship from the Illinois Central Railroad, the University of Illinois College of Agriculture and what was then Southern Illinois Normal University. The six-car train contained exhibits and displays on soybean planting, cultivation, processing, and utilization, prepared with the help of Professor J.C. Hackleman of the University of Illinois. It also had two cars converted into motion picture theaters and a lecture car. Between March 28 and April 17 (1927), a total of 33,939 people passed through the train as it traveled 2,478 miles and made 105 scheduled stops. The train stopped for a little over six hours in Springfield on April 9. “Glue, rubber, cooking oil, flour, oil-cloth, printers’ ink and paint were some of the thirty-four products made from soy beans that were displayed” on the train, the Journal reported the next day. Visiting farmers got a chance to guess the number of soybeans in a jar on the train; the winner was to receive a railcar-load of agricultural limestone, the merits of which also were part of the train’s educational mission. Staley’s efforts built on farmers’ gradual realization of the benefits of adding soybeans to their mix of corn and other grains. 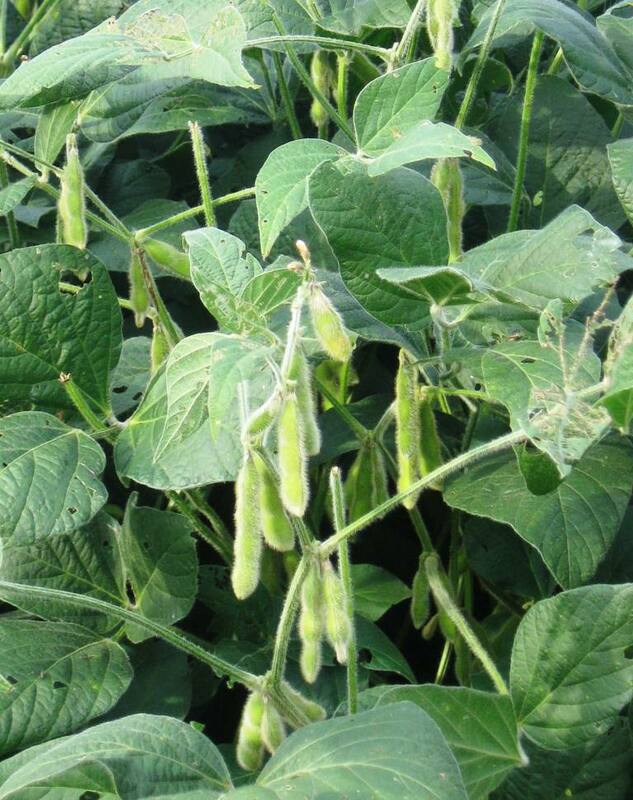 Soybeans were an excellent additive to livestock feed, and beans actually returned nitrogen to soil — in contrast to corn, which consumed the nutrient — and new uses for soybean offshoots were being rapidly discovered, by Staley scientists and others. “Each year more new uses are found for soybeans and soybean products in industry, science and medicine, some of which are truly amazing,” the Journal reported in August 1938. 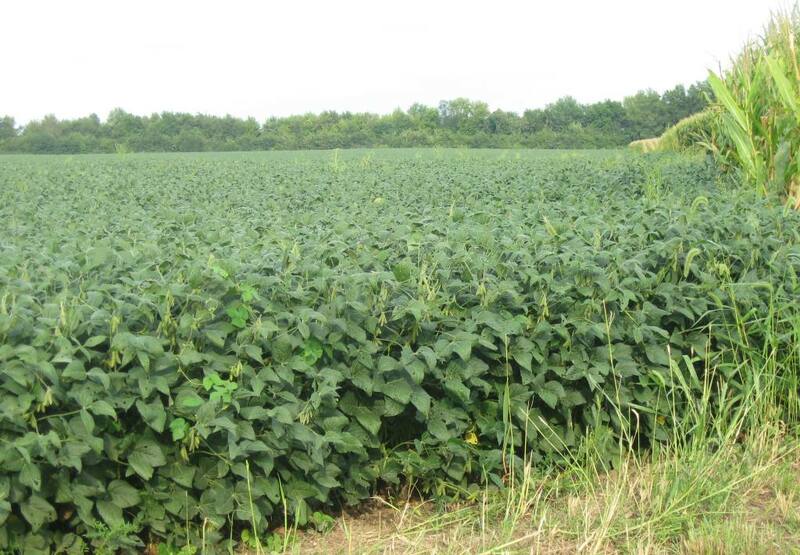 By 2013, Sangamon County farmers alone planted 140,000 acres of soybeans and harvested 7.8 million bushels of beans. This entry was posted in Agriculture, Business, Farming and tagged A.E. Staley, Illinois Central Railroad, Soybeans. Bookmark the permalink.